The new Toyota Prius achieves 54 / 50 mpg city / highway fuel economy while upgrading its predecessors’ already-good looks and excellent safety capabilities. Vibrant Color Schemes: Choose from colors like Hypersonic Red and Sea Glass Pearl. 2017 IIHS Top Safety Pick + (IIHS TSP+): The 2017 Prius is an IIHS TSP+ on models manufactured after August 2016. Advanced Safety Technologies: Stay safe on the road with Toyota Safety Sense™ (TSS) Standard, an advanced sensor network that monitors the road. All-New Interior Technologies: Enjoy Entune audio, an updated navigation system, and a variety of new systems with an enhanced redesign for the 2018 Prius. The new Toyota Prius takes efficiency, appearance, and performance up a notch. 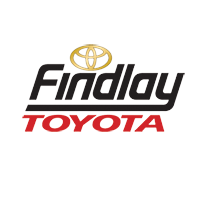 Get it today at Findlay Toyota to take advantage of our generous financing program. We hope to show you the incredible performance of the Prius soon!